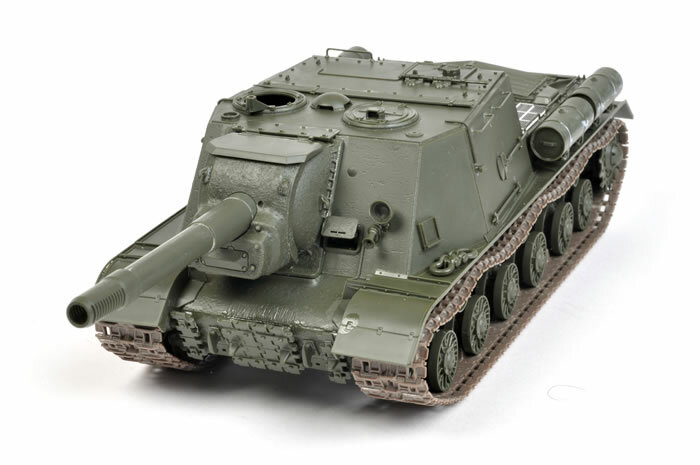 When Tamiya sent their brand-new 1/35 scale ISU-152 for review, I knew that I would have to build it straight away. However, I had a number of after-market accessories for the old Zvezda kit squirelled away in my accessory drawers. It seemed a shame to waste these, so I decided to build both models side by side. Eduard's older photo-etched set plus Aber's exquisite metal barrel helped enahnce the 1990s vintage Zvezda kit. Thanks to Creative Models Australia, I also added workable Model Kasten tracks. There was a bit of old-fashioned scratch building involved too. 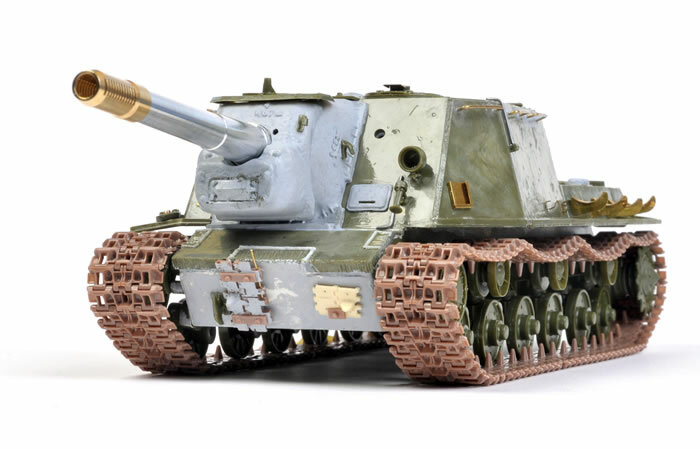 By contrast, Tamiya's beautiful new kit was built straight from the box. 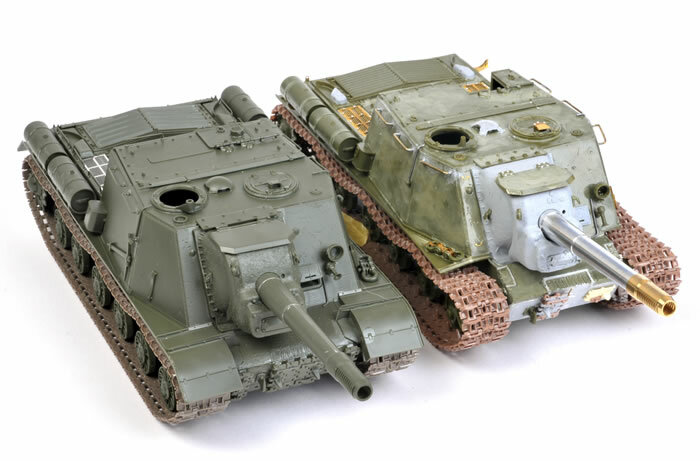 The construction of both models feature in a detailed articles in Issue 45 of Model Military International magazine. This issue also includes a "Think Tank Lite" reference piece with some background and historical photos. The Tamiya kit has been sent to Sam Dwyer for painting and weathering (he has made a few modifications too! ); while I wil be finishing off the Zvezda kit myself.